During Vendex North drop by the Coffetek stand to experience a World of sensations, whether you enjoy finely crafted espresso, foamed hot milk or the crisp taste of freshly brewed leaf tea – we have a solution. Showcasing the market leading Vitro range, we will explore how to deliver the best in cup quality, through customer interaction, espresso and leaf tea technology along with fresh and dry milk innovations. We will focus on the complete journey from consumer immersion (an exciting new development to be unveiled on the day), along with new developments to enhance and maintain beverage quality. On display will be Vitro M3 fresh milk solution, Vitro X3 Espresso, Vitro X4 Espresso Duo and the Vitro S2 soluble system. Complimenting the line-up will be the Neo beverage system, encompassing the same user experience and beverage technologies. Packaged in a free-standing format, the Neo offers a complete suite of beverage technology along with coffee to go options such as flavoured syrups and dual cup size options. Like it cold? 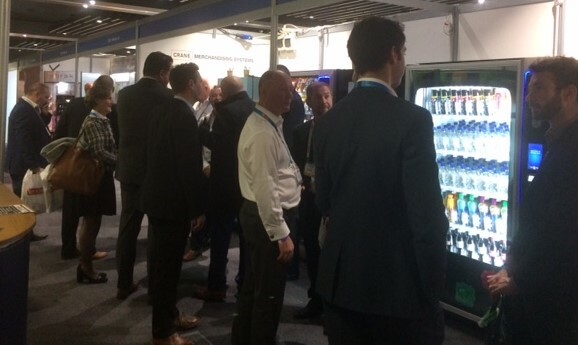 Also, at Vendex will be our compact cold drink merchandiser, designed for the workplace, Palma Hz has 24 selections and a capacity of 168 bottles. Featuring belt drive technology, the Palma ensures that products are always faced correctly, giving the consumer full visibility of the products they are going to choose. As always the Coffetek team will be on hand to offer advice and discuss your requirements, or simply serve you probably the best hot beverage experience at Vendex…..stand C13.